Stephanie is using Smore newsletters to spread the word online. In his story The Masque Of The Red Death, published in 1850, Edgar Allan Poe writes about a devastating disease called the "Red Death". In the beginning of the story the narrator describes the disease, and the process of going through it. It starts with sharp pains, and sudden dizziness, then profuse bleeding, with dissolusion. All of this would happen within a thirty-minute period. While people were dying from this horible disease outside, Prince Prospero had invited a thousand of his "light-hearted fiends" to join him in his "castellated abbey", which has gates of iron and strong walls. The Prince had provided entertainment of all kinds; there were buffoons, ballet-dancers, improvisatori, musicians, Bauty, and there was wine. Poe next describes the "seven rooms" each one a different color with magnificent beauty. The first room was blue which started in the Eastern wing, then purple, green, then orange, the fifth white, violet, and the last room was black and ended in the Western wing. Each room had windows of stained glass that were the same color of the room, except the last room, which was scarlet (a deep blood color). In the story Poe has the seven rooms act as an effect of unity. Poe also describes the giant clock, and every time the clock strikes the hour all of the musicians stop playing their instruments, and all of Prospero's friends stop their celebrating. When the masked "Red Death" comes into the story he moves fast from the Eastern wing, which symbolizes the beginning of life, to the Western wing, which symbolizes the end of life. Also, all of the people attending the party are in "bizarre costumes", so when the masked "Red Death" appears it shocks the guests because the new "guest" is more fantastic and strange. The masked "Red Death" is described as "tall and gaunt and shrouded from head to foot in the habiliments of the grave". Also the masked figures entire outfit is dabbed in blood, and his face was "besprinkled with the scarlet horror". When the Prince sees the masked figure he is furious at such an intrusion tells him to leave. The Prince then draws a dagger and rushes "hurriedly through the six chambers", as the Prince approaches the figure his dagger drops, and he falls dead upon the black carpet. And then the revelers also fall upon the black "mummer", one by one all of them drop dead. 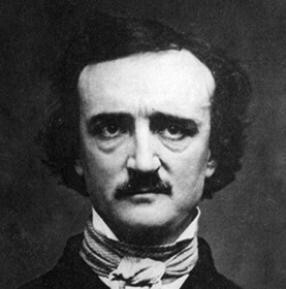 Poe tells us that the " Red Death" holds " illimitable dominion over all."